"You aren't very persistent, Mr. Sulu. The game has rules; you're ignoring them. I protest... and you come back. You didn't... come... back." 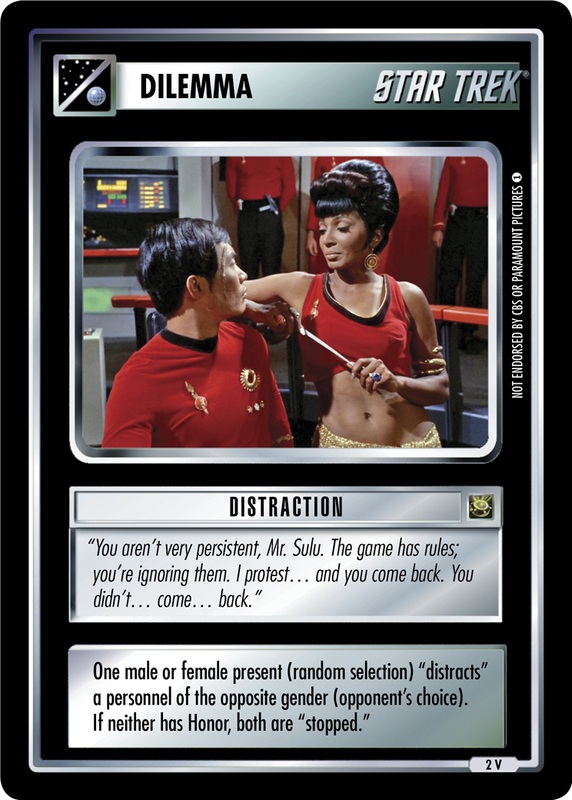 One male or female present (random selection) "distracts" a personnel of the opposite gender (opponent's choice). If neither has Honor, both are "stopped."